In this episode, Ricardo returns to talk about the concept of ethics among the project environment and recommends the work of the Project Management Institute (available at www.pmi.org/about/ethics) and the Institute for Global Ethics (www.globalethics.org). In this episode, Ricardo asks: can the project manager be subject to criminal or civil liability for something that went wrong on the project? 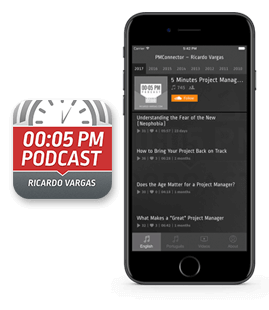 In this last episode of the series of 5 podcasts on career, Ricardo closes the 10 dimensions of career in project management subject, now addressing the ethics and relationship dimensions. He also gives his final messages about this series. In this podcast Ricardo continues the podcast of August 20th about ethics and professional responsibility, approaching the egoism and altruism concepts. This podcast was recorded only in Brazilian Portuguese. The link below is for the Brazilian Portuguese version. In this podcast Ricardo make comments about the new PMI Code of Ethics and the importance of an ethical attitude and it's influence in the project environment. This podcast was recorded only in Brazilian Portuguese. The link below is for the Brazilian Portuguese version.